Have a happy Memorial Day America, but do take a moment to remember its real intent. 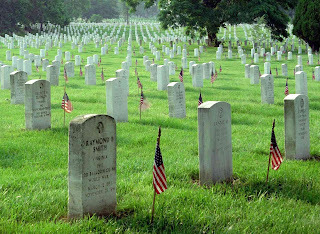 Remember those who gave so that you might have all you enjoy. "When to the sessions of sweet silent thought I summon up remembrance of things past, I sigh the lack of many a thing I sought, And with old woes new wail my dear time's waste: Then can I drown an eye, unused to flow, For precious friends hid in death's dateless night, And weep afresh love's long since cancelled woe, And moan the expense of many a vanished sight. Then can I grieve at grievances foregone, And heavily from woe to woe tell o'er The sad account of fore-bemoanèd moan, Which I new pay as if not paid before. But if the while I think on thee, dear friend, All losses are restored and sorrows end."